These figures represent the warriors defending Britain, Gaul and other parts of the Empire once the Legions had left to defend Rome. Famously they are the warriors of King Arthur. 3 mounted figures per pack. 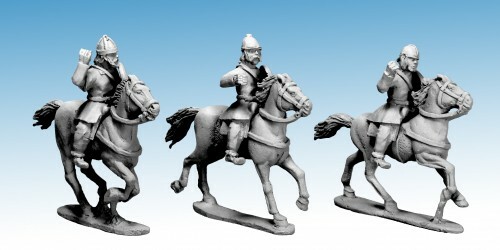 28mm sized, made of metal and supplied unpainted. Spears are not included. You need to buy our wire spears as an extra item.